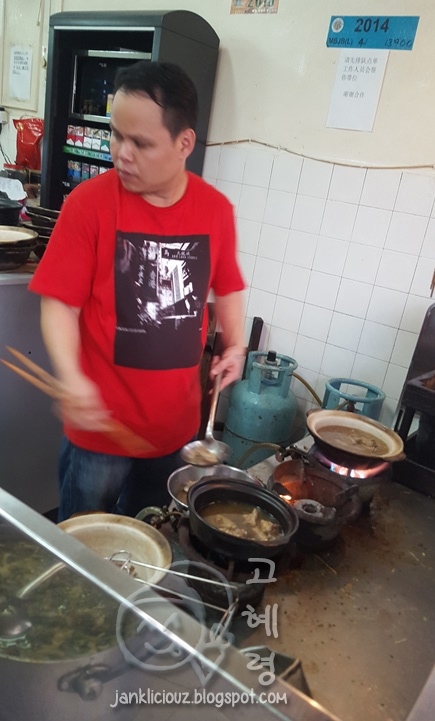 [Malaysia, Johor Bahru] Just located on the same stretch as Ah Hua Kuey Teow 亚华果条, is the ever popular Soon Soon Heng Bak Ku Teh! 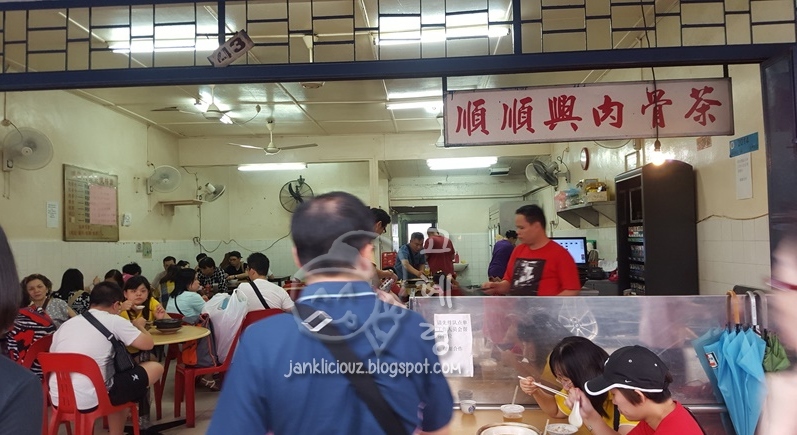 This place is almost always filled with people, strolling in to have a taste of the Bak Ku Teh (literally 'Meat Bone Tea'), despite the hot weather. Before sitting down, make sure you order first. Ordering is easy, just tell the staff how many people are in your group. They will prepare the portions accordingly. deep fried doughsticks (you tiao), salted vegetables with deep fried lard pieces or braised pig's trotters. Here are some sides you can choose to add on. Like meatballs, pig's stomach slices, livers, beancurd skin. The salted vegetables taste so good. They are salty but not overwhelming. This is very good with rice, and I enjoyed the lard pieces with it! So amazing. I can eat so much rice with this bowl of salted vegetables. And this is just a side dish. First thing I noticed about the bak kut teh here is that it's not peppery, unlike how Singapore loves to serve the same dish. 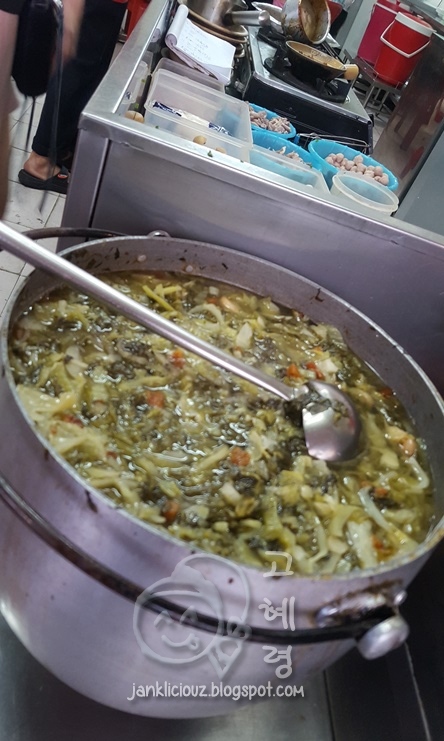 The freshly cooked pot is served to you piping hot, and is a flavourful mix of ingredients. When served, this braised pigs trotters should still be sizzling. And it will continue to sizzle for the next minute. When it ceases to sizzle, take some gravy and mix with your rice. Enjoy. The gravy is not too salty and is just nice. The pig's trotters are so chock full of collagen and fat, that it forces you to have it with rice. Which you should. Heavenly. I don't have the full break down of the costings, but overall, I paid about RM55 for 3 of us. The price is reasonable and the food, GOOD! I'm a happy girl, who will likely return here for the food. The best bit: The food.